Lingering questions continue to haunt the region and U.S. policy towards it even as a historic summit begins. On Monday and Tuesday, February 15-16, President Obama will host eight leaders and two senior alternates from the ten-country Association of Southeast Asian (ASEAN) at Sunnylands, the former estate of Walter and Leonore Annenberg in Rancho Mirage, California. The Sunnylands summit will be a historic development in U.S.-ASEAN relations and a significant testament to the positive impact of the Obama administration’s rebalance to the Asia-Pacific and its broad all-of-government re-engagement with ASEAN. But amidst the bonhomie, many if not most of the leaders are likely to have more questions than answers about future U.S. initiatives towards the region. 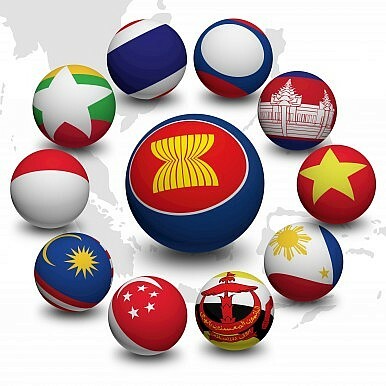 Since 2000, the ASEAN countries have averaged GDP growth of more than 5 percent, though per capita income and living standards still vary widely. McKinsey & Company judged ASEAN collectively to rank the lowest among the world’s largest economies in GDP growth volatility from 2000-2013. Still, economic cooperation has generally not lived up to the hopes and aspirations of most member countries. Over nearly five decades, the rhetorical bar regarding intra-ASEAN trade and investment has always been set significantly higher than actual performance. At the time of the initiation of the ASEAN Economic Community in 2015, the ten countries were still trading much more with the rest of the world than with one other, especially if trade figures are adjusted to separate intra-regional trade among Japanese and Chinese corporate shipments of parts and components for their regional supply chains. Relations with the United States have been warm throughout ASEAN’s expansion and evolution, though U.S. preoccupation with the Middle East after 9/11 and the invasion of Iraq created significant anxiety in some capitals about the strength of American interest and staying power. Relations have been on the upswing since the beginning of the Obama administration, though some important moves such as the rebalance to Southeast Asia and closer engagement with Vietnam had bureaucratic if not high level political roots in the last year or so of the George W. Bush administration. To date, nervousness about China’s increasingly assertive efforts to solidify its claim to nearly 90 percent of the South China Sea—including parts of the 200 nautical mile Exclusive Economic Zones (EEZs) of five ASEAN countries—has been the single most important reason for the positive reception in the region to the US military rebalancing to East Asia and the US’s its broader political and economic re-engagement with Southeast Asia. China’s effort to create a modern mare nostrum in the South China Sea through bullying and the deployment of overwhelming numbers of maritime police vessels, Coast Guard and People’s Liberation Army (PLA) warships remain a continuing threat to regional peace and stability and drive other claimants closer to the United States. But in recent months, China’s fast slowing economy and unsettling blunders by the Central Bank have created even more imminent dangers to both to ASEAN economies and regional stability. The falling yuan and the Xi administration’s surprisingly clumsy handling of its financial turmoil have shaken investor confidence throughout the world. China’s economic slowdown is likely to continue until policymakers finally make well recognized but politically difficult reforms and the economy purges itself of excess capacity and non-performing debt. Meanwhile, the rapid fall in imports of commodities coupled with a weak and still tenuous recovery of the global economy pose a serious short and medium threat to the well-being of most of the ASEAN countries. How Washington responds to the situation in the South China Sea and its overall policy towards Beijing are certain to be high on the list of talking points for the ASEAN leaders, as will a range of multilateral and bilateral development and capacity building programs under the framework of the new U.S.-ASEAN Strategic Partnership and the LMI. In addition TPP discussions and the South China Sea tensions, concern that the Islamic State is establishing a foothold in the region and the best means to counter its recruitment efforts and the establishment of terrorist cells will be high on the Sunnylands agenda. Economic and security concerns, particularly those where the root cause emanates from China, continue to drive several ASEAN states closer to the United States, openly in the case of Vietnam and the Philippines and quietly in the case of Malaysia and Indonesia. It is unsurprising that these issues will drive the conversation at Sunnylands. The Obama administration and ASEAN would also be wise to begin give equal weight to conversations on climate change resilience and energy governance, two areas which ASEAN countries are lagging but are beginning to articulate the need for external partnerships. Dr. Richard P. Cronin is the Director of the Southeast Asia program at The Stimson Center, a Washington, D.C.-based think tank. A version of this piece was published over at East by Southeast here.